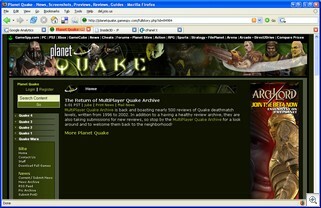 Cool, some nice publicity for MPQ Archive. 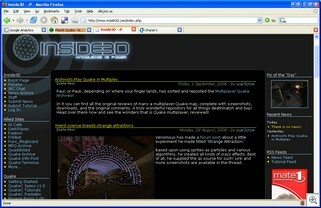 Cracking write up on Inside3D about the site. Thanks to scar3crow for that. 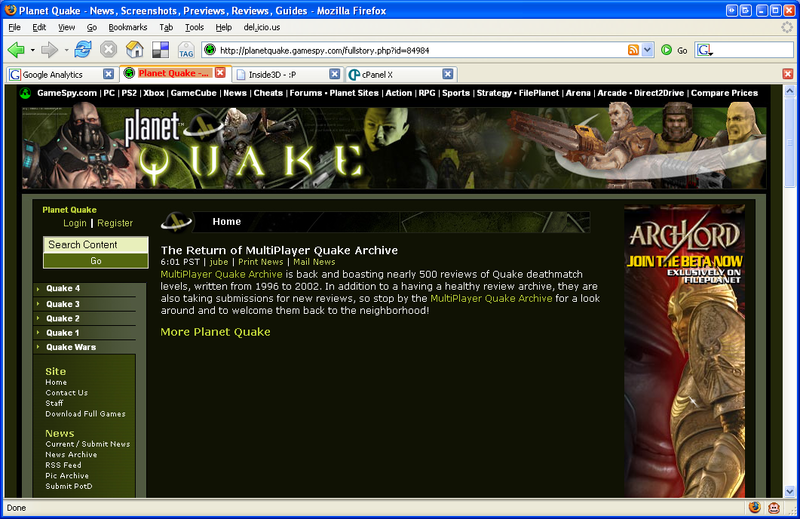 No idea how PlanetQuake found out, but it’s all good. It’s a bit misleading that the site is accepting reviews though. I did note I’d like to people submit reviews for the maps that are still pending, but not new reviews. However Daz threw in the idea of making it a community review site, where anyone can review a map and the admins pick the best of the bunch. It was undecided as to whether multiple reviews would be allowed on a map or just one review compiled from lots of peoples comments. From an admin point of view, the former is easier (less work) and would probably result in more consistent reviews in the long run. 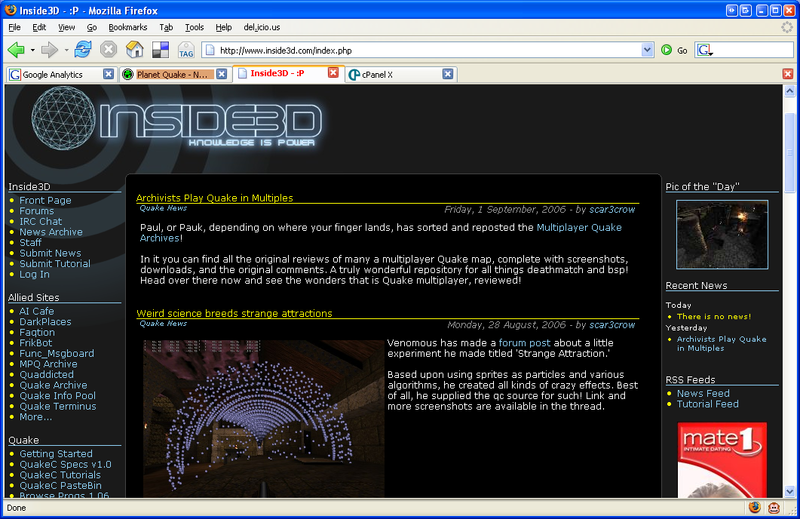 It would be cool to submit every DM map from when the site closed until now and get them all reviewed… but the pessimist in me thinks the effort getting the site set up to do that would be wasted. Am I wrong? I love Popcap games, they’re so damn addictive. 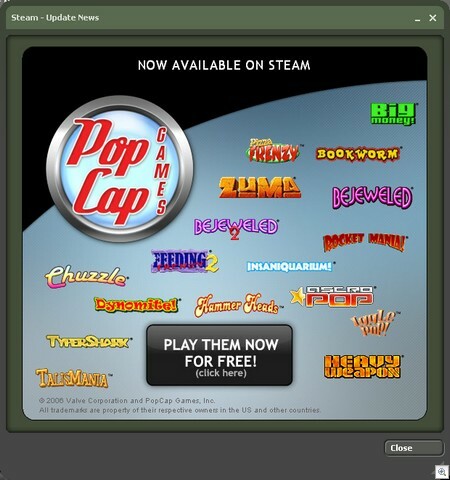 I even bought a copy of Bejeweled and spent far too long playing it! Now you can buy the lot for $89.95… AAAAArrrrrggggggggggghhhh.